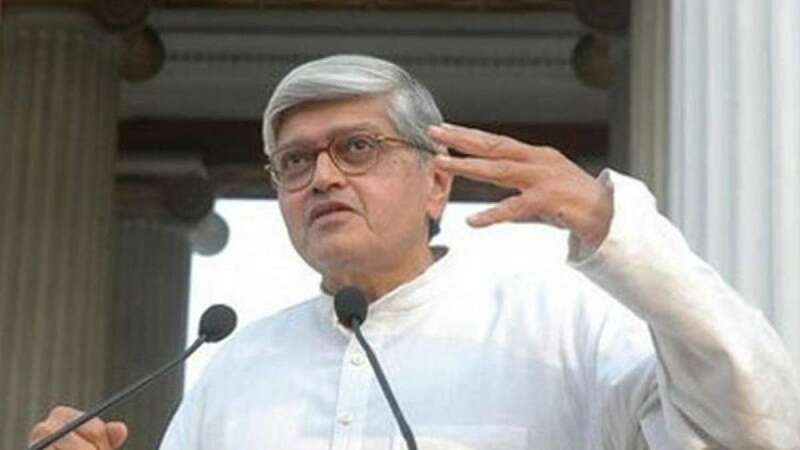 New Delhi : Former West Bengal Governor Gopalkrishna Gandhi, a grandson of Mahatma Gandhi, was on Tuesday named the opposition candidate for the post of Vice President by the Congress and 17 other parties. Congress President Sonia Gandhi announced the name of Gandhi, a former Indian envoy to South Africa and Sri Lanka, here at a meeting of the opposition parties convened by her. "Gopalkrishna Gandhi is the opposition candidate for the Vice Presidential election. We have spoken to him and he has agreed to be the opposition candidate," Gandhi said. His name was proposed at the meeting by the Trinamool Congress and backed by all the parties present. No other name was discussed, opposition leaders said. The declaration of the name of Gandhi, a Secretary to then President R. Venkataraman, has set the stage for the contest for the Vice President's office. The ruling BJP-led National Democratic Alliance is expected to announce its candidate soon. The 72-year-old Gandhi, who belonged to the IAS, was the Indian High Commissioner to South Africa and Sri Lanka. Earlier, Gandhi's name did the rounds as the opposition candidate in the Presidential election. But the BJP's choice of Ram Nath Kovind, a Dalit candidate, forced the Congress-led grouping to pick former Lok Sabha Speaker Meira Kumar. The last date for filing of nomination for the Vice President's post is July 18. The scrutiny of the nomination papers will take place on July 19. The last date for withdrawal of nominations is July 21. Hamid Ansari has been the Vice President and ex-officio Chairman of the Rajya Sabha since August 11, 2007. He won a second term on August 11, 2012. His current term ends on August 10.